I’m no stranger to snowmobiles, but also no expert. Motorcycles, on the other hand; now those I’m familiar with. 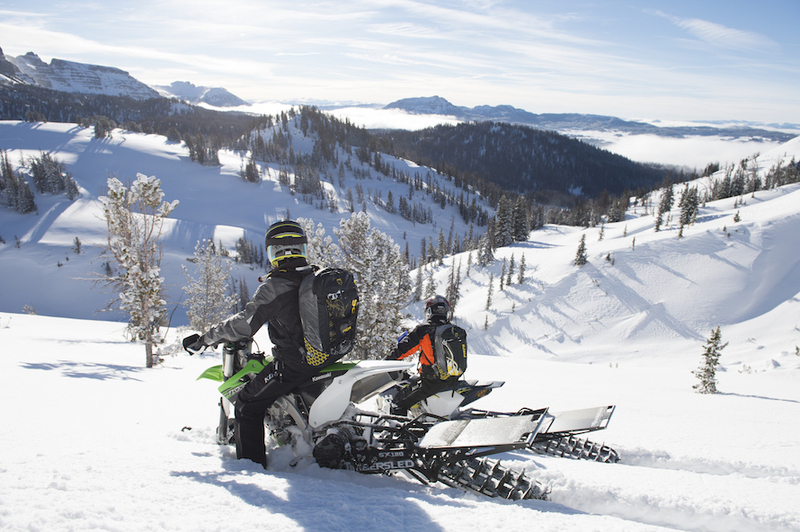 So when Polaris asked me to come to Utah to try out the new 2017 line of Timbersled snow bikes, I was full of questions. 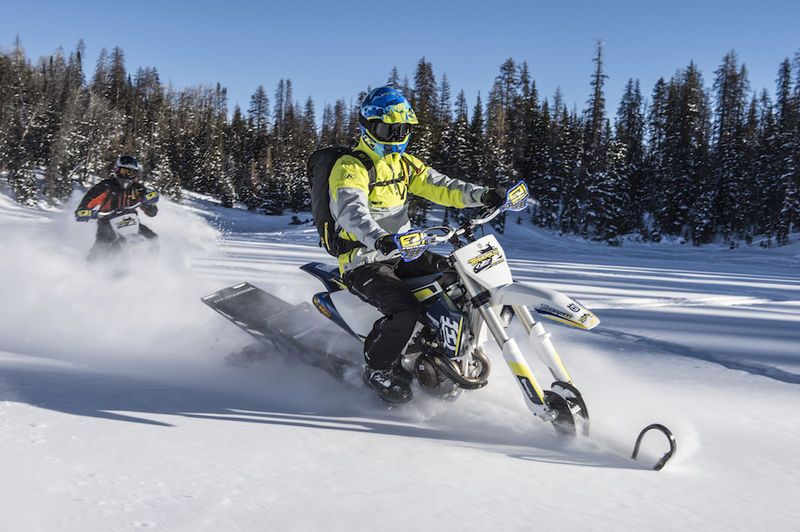 Are they snowmobiles or motorcycles? 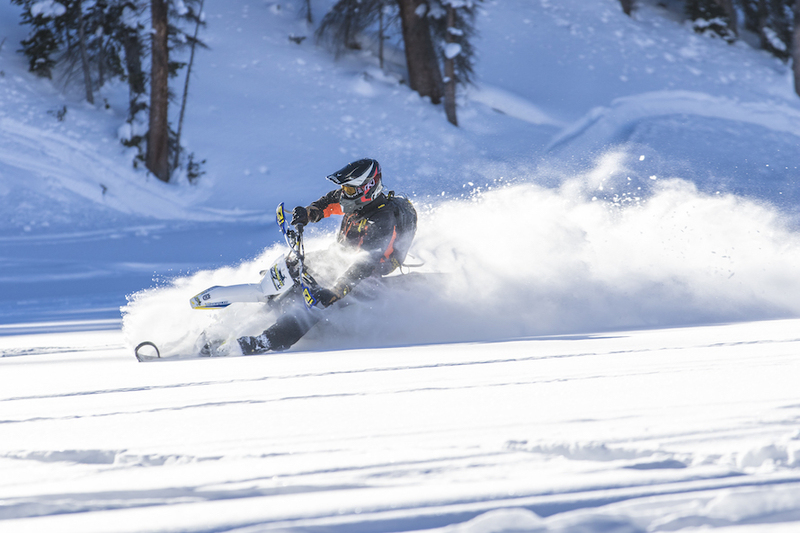 Do I wear motorcycle gear with big pads or do I stick with snow gear? Will they be easy to ride? How the heck do the brakes work? Do they have brakes? I obviously had a lot of questions going into the ride, all of which were answered within a few minutes of seeing the new bikes. First, these bikes are easy to ride. You just get on and go. Not only do you not have to put your feet down when you stop, but it’s recommended that you don’t. Most of my falls (there were many) happened on a side hill when I stopped and instinctively leaned into the hill to put my foot down. That technique works ok on hard pack, but when the snow is three feet deep your boot sinks in past where you thought it would stop and down you go. 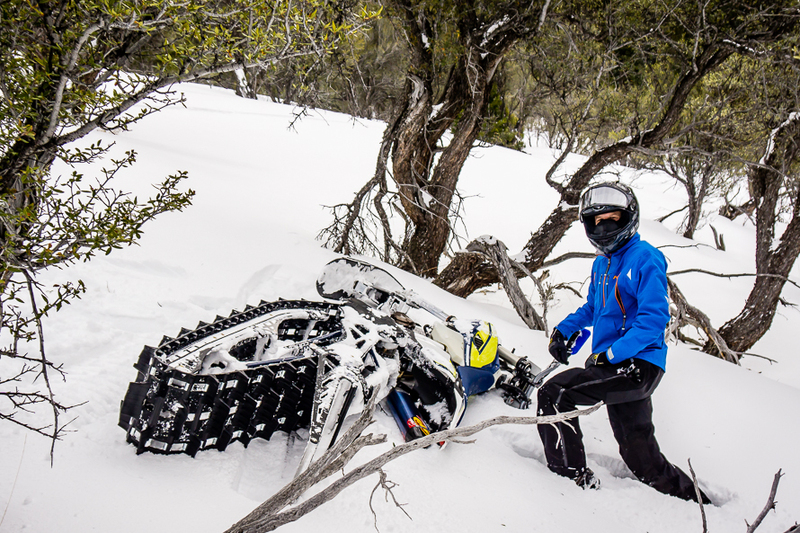 Luckily, the bikes are easy to pick up and since you’re probably falling in deep powder, both you and the bike are likely to avoid injury. On the matter of brakes, there’s only one and it’s applied to rear with your right hand. Coming from a motorcycle background, this was a tough one for me to grasp. You don’t want a lot of front brake on a motorcycle when you’re stopping (applied with your right hand), especially if the surface is loose. This opposing thought only clicked a handful of times for me but with a few days practice I’m sure I’d get it down. You usually don’t need much brake to stop in the snow so it’s not a big deal. If you try to apply the rear brake with your right foot you’ll quickly notice it missing. 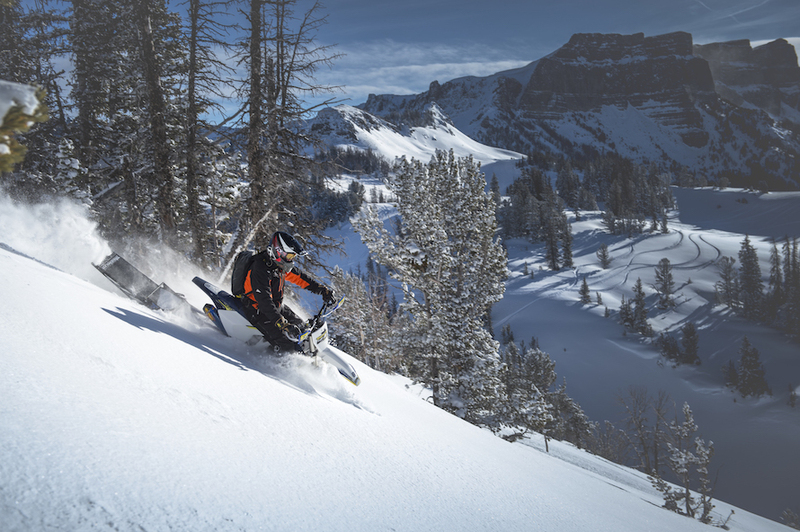 I can unequivocally say Timbersled snow bikes are a blast to ride. They handle side hills without thinking about them. 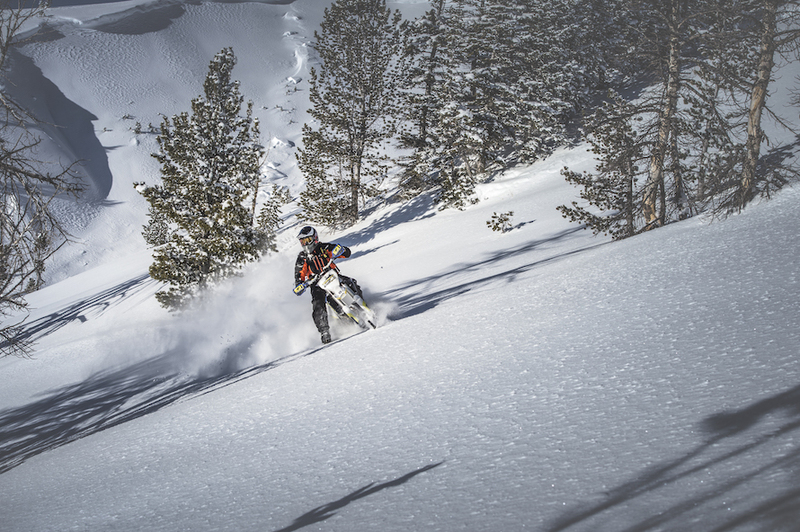 The deep powder is no problem; even the hard pack icy spots are ok if you come to grips that you’re not sitting on wheels and that you have traction. Timbersled’s tagline is “Anywhere you want to go”. I found this was true, only so far as I wasn’t the limiting factor. Get out of the way of these bikes and they’ll go anywhere you send them. Roll on the throttle and hang on because the ride will be a fun one.